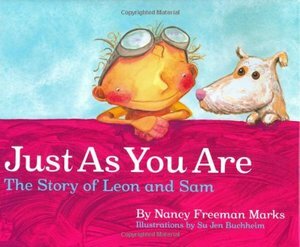 Just As You Are is the story of a young boy named Sam and a lost dog named Leon who become fast friends in the magical land of Riggledejurst. Nancy Freeman Marks' delightful rhyming tale, brought to life by Su Jen Buchheim's dazzling artwork, shows children the importance of being themselves and accepting others for who they are. It is a book to cherish and to share, and to read over and over again.